Bandari Sacco Society Limited was registered under the Co-operative Societies Act Cap 490 on 2nd July 1975. It was originally known as East African Railways and Harbors Corporation. 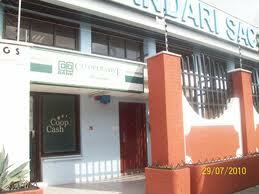 In the year 1985, the Society changed its name to Bandari Savings and Credit Society as it is known today. The common bond of the Society was the employees of Kenya Ports Authority. It then enlarged its common bond to include the employees of Kenya Ferry Services and Kenya Maritime Authority. In order to offer all the financial needs of it’s members under one roof, the Society opened on the FOSA Services in January 2005.